At this time of inflation, people want to save as much money as they can. They reduce their standard of living, lessen their living costs and buy lessening analytic book. 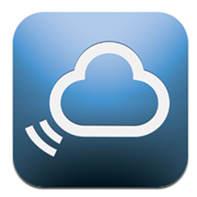 But, sometimes forget to go for the simple ways such as save money via iPhone Apps. These apps are specifically designed for this purpose. 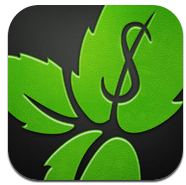 Here is a list of money saver iPhone apps than can help you save money for your needs. If you wish to find the best deals and offers on entertainment, food, clothing or any other thing, Voucher Cloud is the app you should go for. It makes use of the GPS technology in finding the stores with great offers and deals nearby. You have the option to search for these offers via the map of the A – Z listings of the stores. After you have selected the store and you have chosen the offer which you want, you can click on the “use” link which will eventually get you the vouchers of the store. You can easily take these vouchers on your Smartphones and visit the store. There is no such requirement of getting it printed. It is a perfect app for those who are Shopaholic. Imagine you are in an unknown place and your car runs out of gas. 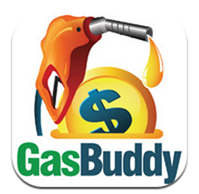 Rather than going here and there in search of it and wasting your time, you can use Gas Buddy. With its GPS technology, it will find out about all the gas stations which are available nearest to you. It compares the prices of the gas of different stations and provides you the directions to reach the gas station which suits your requirements. It saves you hundreds of dollars in the long run. Sometimes, it’s really frustrating to drive around the city searching for a parking place for your car. Save your time and gas by getting the Primo Spot App. It helps you to find a parking space for your vehicle. Just enter the address where you have to visit and search for a parking garage or bike parking. It informs you about the cheapest parking garage and. However, this app works only in the major cities of USA. Who doesn’t wish to save money these days? However, people sometimes forget that poor organization is their biggest budget enemy. It is a fact that a person spends a large part of his income in paying car installments, taxes, mortgage debt clearance and etc. We do not calculate but, these expenses contribute to a great total. We do not have any clue about how much have we spent on these items. It can better be handled by the Mint app. It tracks your bank account transactions, credit card payments and loan payments in a well-organized manner. You are informed periodically about your expenses and income. When you have reached your budget limit, you’ll receive a notification. With the help such beneficial apps, the iPhone is not just about gaming. It is your financial advisor and helps you with your spending habits. Select an app as per your requirement and save money you’re your iPhone. Also get your precious and loving iPhone insured so as to use it without any worries. Getting your phone insured is your duty and a true need in today’s time. Protect your bubble is helping iPhone users in getting their phones insured in a safe and better way. So, what are you waiting for? Get your iPhone insured today and use its amazing apps so as to make your life easy and entertaining.